The A.S. traction tread provides excellent stability and ensures non-driven axles keep on rolling even under the most difficult conditions. 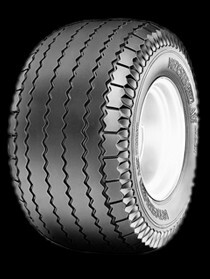 The A.S. has special tread cleats - when fitted on the driven axles of, for example, compact tractors, comfort on the road is guaranteed without any loss of traction in the field. Manure spreaders, self-loading trailers, balers, disc harrows and transport equipment keep moving under all conditions due to the widely praised Vredestein A.W. 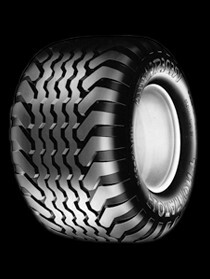 A popular tread, with a sophisticated tyre construction, ensures good stability on under all circumstances. Thanks to its special carcass construction the A.W. Special offers further resistance to damage from impact. The advanced radial Flotation Pro supports the professional needs of contractors and farmers alike. Its radial construction, with a sturdy belt under the tread, ensures an equal distribution of pressure over the contact surface. This results in excellent preservation of the soil structure. 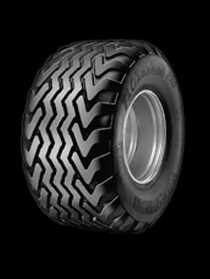 The Flotation Pro's low rolling resistance ensures that the tyre keeps rolling even under difficult field conditions. The special carcass construction enables road transport at speeds of up to 65 km per hour, which are common modern farming. 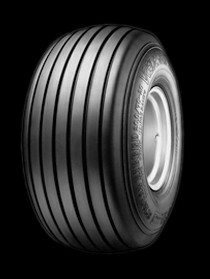 With its large load capacity at a relatively low tyre pressure, the Flotation+ is the ideal tyre for heavy-duty work. 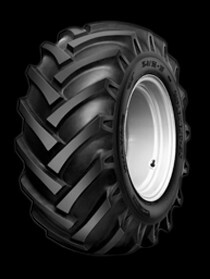 Its extra-wide and voluminous design makes the tyre exceptionally suitable for silage trailers, mixed manure spreaders, tipping trailers and harvesting machinery. Thanks to its deep longitudinal grooves the Special Ribbed is the ideal implement tyre for grassland activitities, where avoiding damage to the sub-soil, is a priority. The performance of small tipping trailers and harvesting machines is dramatically improved due to this tread’s exceptional self-cleaning properties. The V61’s open tread with its unmistakable tread rings is a guarantee for optimal stability and good self-cleaning properties. The strong, flexible carcass is resistant to peak loads. The tread ring also give extra protection against carcass penetration by thorns and stones. Due to the extra security this offers, many renowned machine manufacturers choose to fit the V61 as original equipment.